Cynthia Mays formed this study group about 10 years ago to assist her sisters in Christ in becoming the mighty women of faith that God created them to be! All women are welcome to join us on Monday evenings from 6:30-8:30pm. The studies range from 5 to 10 weeks in length, are Biblically-based, and may include homework for the next session. Our time together begins with a brief time of fellowship and praise to prepare our hearts for God’s Word. Then, we eat supper and watch that week’s DVD teaching, finishing up with group discussion and a brief time for sharing our concerns and praise reports. 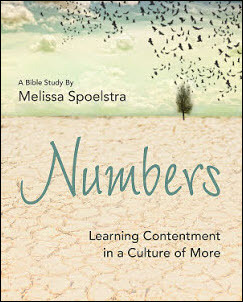 Please join us for our current study – “Numbers” by Melissa Spoelstra – on Monday evenings at 6:30 pm, beginning next Monday, March 11th. “Something in us aches for more–more hope, more joy, more freedom. All around us people are dancing to the steps of bigger, better, and faster, and we can easily join in without even realizing it. Before long complaining and comparing accompany our desire for more, yet we’re not any closer to filling the ache inside. God offers us another way. Some of our previous studies are “Bad Girls of the Bible” by Liz Curtis Higgs, “Discerning the Voice of God” by Priscilla Shirer, “Book of Colossians” by Joyce Meyer, “The War Room” by Priscilla Shirer, “Book of James” by Joyce Meyer, “Redeemed” by Angela Thomas-Pharr, “Gideon” by Priscilla Shirer, “Battlefield of the Mind” by Joyce Meyer, and “Breaking Free” by Beth Moore.